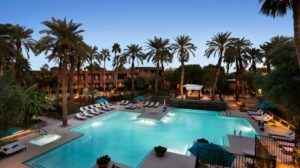 The Grand Canyon, Sedona and Sights along the Way! • Bring your family or organize a group of friends to drive the scenic loop and rim country of Arizona. It is an ever changing scenic journey where temperatures average in June between highs in the 70s to high 80s F and a lows 50’s to 60’s F depending on location and altitude. The Grand Canyon is only a 4 hour drive but you will want to stop along the way to see the many sights: the red rocks, mystic vortexes and art galleries of Sedona; drive from there to Flagstaff through Oak Creek canyon or take a splash down slide rock (natural water slide) on the way; while in the Flagstaff area see Meteor Crater and the Sunset Crater volcano or explore the massive Indian cliff dwellings of Walnut Canyon; re-capture the 50’s on Old Route 66 in Seligman; drive back the backroads to the very “alive” Ghost Town of Jerome; or on the way up or back on I17 stop off at the cliff dwelling of Montezuma’s Castle or the fantastic architectural vision of Paolo Soleri at Arcosanti. For those with more time, east of the Grand Canyon is the Painted Desert, the Petrified Forest, Monument Valley, the ribbon canyons of Lake Powell in Page Az or the ancient Indian dwellings of Canyon de Chelly. 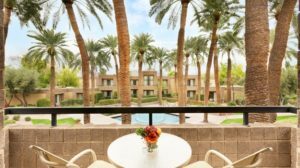 • Around Phoenix: If you plan on seeing perhaps a few locations around and just north of Phoenix then spending a few extra nights at the Doubletree Paradise Valley Resort is a good idea. 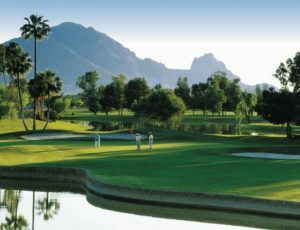 Locations, within a couple hours or few minutes, of interest include: the red rocks of Sedona; or the ancient Indian ruins of Montezuma Castle or Solari’s Acrosonti (on the way); Solari’s Cosanti studio and bells in Scottsdale; or local museums like the famous Musical Instrument Museum, the Heard of Native American Art, the home of Frank Lloyd Wrights desert laboratory, Taliesin West; and others. • Arizona High Country: If you plan on spending 2 to 3 days seeing multiple sights in the Arizona high country (the rim country) you might want to make Flagstaff your “home port”. 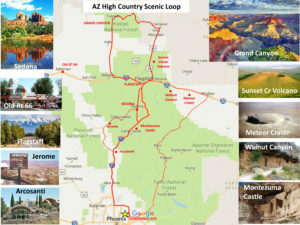 It has a great old town center plus easy drives to: the Grand Canyon (1.6 hours); Grand Canyon Railway Tour (in Winslow 40 minutes away); Meteor Crater (45 minutes); Sunset Volcano Crater (30 minutes); the massive ancient Indian cliff dwellings of Walnut Canyon (15 minutes); the red rocks and vortexes of Sedona (50 minutes south through Walnut Canyon); the Rt66 town of Seligman (1.2 hours); Petrified Forest and Painted Desert (1.75 hours). Where to Stay: there are very many hotels in Flagstaff if you do a search, but if you want a historic and perhaps mysterious adventure you might want to try the Hotel Monte Vista which is reported to be a haunted hotel (6 ghosts some active). It opened in 1927 and the bar was the first speakeasy in Arizona. 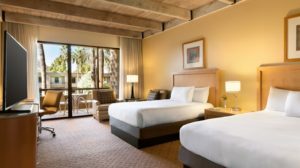 Enjoy a 2-night getaway to the canyon! Bundle and save 10%. 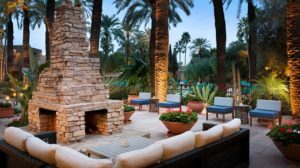 Need some additional inspiration for traveling around Arizona before or after the Dream Conference? 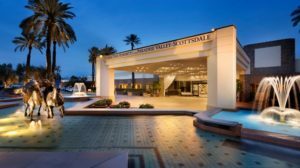 IASD Member Nori Muster has created a first hand travel guide to some of the most interesting spots nearest Phoenix.